Looking For A Jersey City Tile and Marble Company? If you like arts and culture, then Jersey City is a great place to be. Here, you can pop into the Loew’s Jersey Theatre to catch a film or even a live performance. And you can even enjoy the bevy of museums hereabout: the Afro-American Historical and Cultural Society Museum and the Jersey City Museum, to name a couple. And should you stop being absolutely enraptured by all the art, you might stop and notice the architecture — specifically, the tile therein, perhaps. Indeed, you might note just what beauty and elegance tile can bring to any building. Should this tile and the beauty it offers convince you that marble and tile is just the thing for your home or business, then good news: You can get tile cut from only the highest-quality materials! And just how is that? Why, by calling on Jersey City’s marble and tile experts at Kennedy Tile & Marble Inc., of course! MARBLE TILE IN JERSEY CITY, NJ. Of all the materials you can use for your tile purposes, marble stands out as one of the most beautiful and most durable options out there. Of course, to enjoy the most of marble’s beauty and durability, you need to get your marble tile cut from only high-quality material. And to get the highest-quality material, you need to get it from the pros at Kennedy Tile & Marble Inc.
With over three decades of providing quality material to residents of Jersey City, we at have the experience and reliability to provide you with only the best material possible! IMPORTED NATURAL STONE IN JERSEY CITY, NJ. 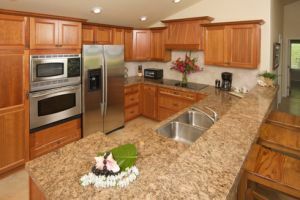 Natural stone is a beautiful material for many purposes: tile, countertops, backsplashes, etc. Of course, not ALL natural stone materials are locally available — some have to come from quite a ways away. If you are in the market for a natural stone that is not available locally, then don’t fret! Just call on the tile experts at Kennedy Tile & Marble Inc. today. We can provide you with just about any kind of natural stone material for your home’s tile projects and the like. Don’t just wish you had the best kind of stone for your home — get it with Kennedy Tile & Marble Inc.!